Insurance can be a complicated, stressful and time consuming task. At Village Insurance, we pride ourselves in taking the time to get to know our clients personally so finding the best cover for you becomes a simple and smooth process. We care passionately about what we do and how we do it and guarantee to do our very best for you each and every time you contact the office. Paul has been in the industry since 1998 and has a wealth of knowledge and experience. Paul’s passion in the business is spending time getting to know his clients, understanding their personal and business needs to ensure they are adequately covered for the present and the future. 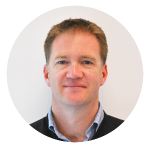 Paul was born and raised in Hawkes Bay and currently lives in Havelock North with his wife Caroline and their 2 children. His time away from work is spent supporting his children in their many sports. Whilst he enjoys all sports, his main passion is football. Paul currently coaches the Junior Premier Football team for Havelock North High School, and actively works with the Ricki Herbert Football Academy helping children of all skill levels reach their maximum potential. Jo recently joined Village Insurance to take on the role of Client Service Manager, and is responsible for managing the client database and scheduling client reviews. Prior to joining Village Insurance Jo worked as an analyst for the External Assessment Bureau before taking a career break to concentrate on raising her family. 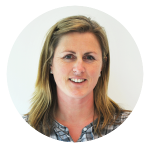 Outside of work Jo enjoys keeping fit at the local gym, spending time with her family or walking her dog. Helen has been with Village Insurance since 2010, and currently works part time whilst balancing work with a young family. 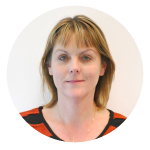 Helens main responsibility is now managing the website, newsletters and campaigns. Away from work Helen keeps busy with her children and their many interests and activities. She loves all sports and enjoys running and tramping. She also coaches the Senior B Netball team at Havelock North High School.